(Newser) – Republicans aren't taking any chances with Tropical Storm Isaac, soon to be Hurricane Isaac. 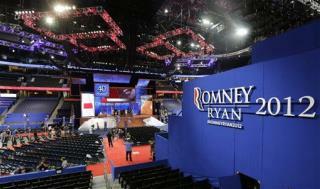 The party has effectively postponed the start of its convention in Tampa from Monday to Tuesday, reports Politico. RNC chief Reince Priebus announced that the convention would convene Monday but recess immediately until the following afternoon, reports AP. Schedule changes for the shortened convention are still being hashed out. They pushed the convention back a day. This is nothing new for Republicans they push things backward all the time. I JUST DON'T GET IT! With so many hating the GOP how can Mittens be even with the Big 'O' in all the polls? Something smells like fish left in the sun. Whew!